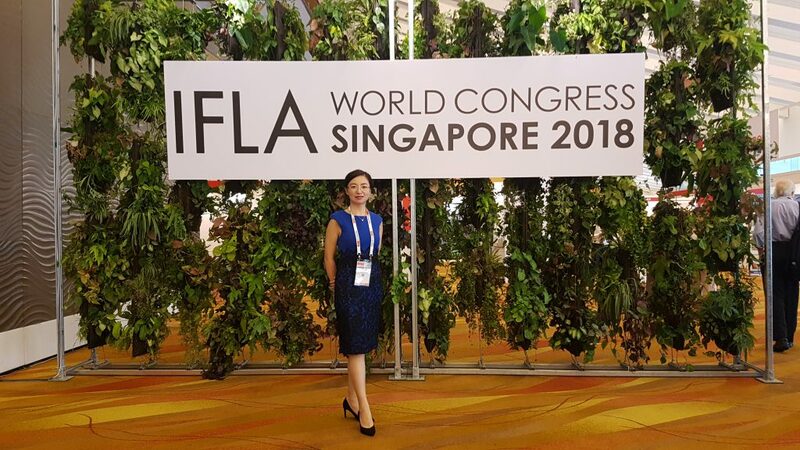 Yesterday, Rong Hu, the co-founder of NLUS attended the IFLA World Congress Award Gala in Singapore. Our Ecological Landscape Concept Planning of Qinghai Haidong Huangshui River Basin project was honored in the Analysis and Planning category in this congress with other winners. The conference enhanced networking opportunity globally, and presented recently completed projects, international awards and topics that demonstrate biophilia innovations, universal ecosystems, therapeutic landscapes, inclusive designs, smart building solutions, greening policies and smart eco-systems enhancement. The congress was a milestone for thought-leadership to drive the future of biophilic cities, to enhance smart nations’ capabilities and build future resilience for the next generation. An inaugural award initiated by the IFLA Africa, Asia Pacific and Middle East (AAPME) regions. Organized by the IFLA Asia Pacific region and Co-Chaired by the three IFLA regional presidents, it is an international award for landscape design and planning recognition that is open to all IFLA regions and practitioners around the world for projects within the Africa, Asia Pacific and Middle East regions. The Award offers unlimited submissions and free registration to all.